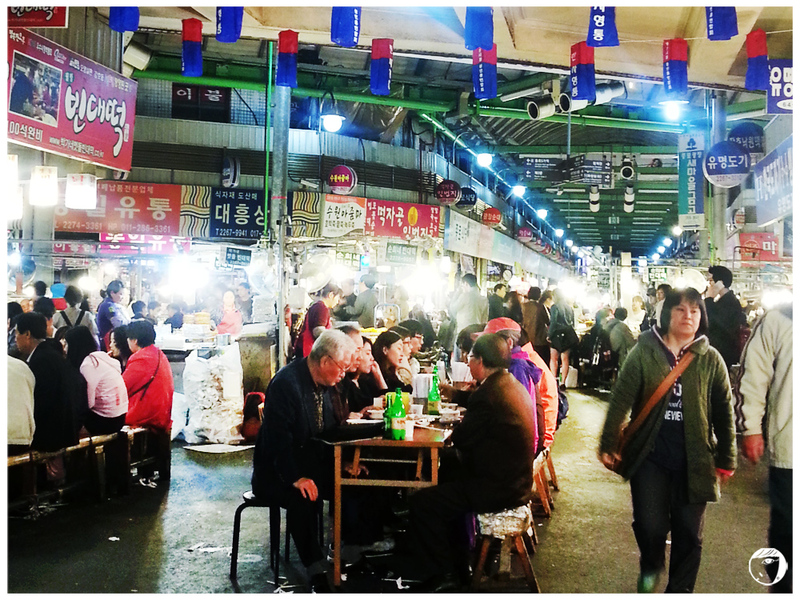 Gwangjang Market is the nation’s first market and nowadays becomes a popular tourist spot. The market is where the locals shops for silk, fabric, bedding, hanbok, clothes, home furnishings, and goods for future brides and grooms. When the shops close in the evening, that’s where more people coming here to have their company dinner or night snacks. Although most of the market shops are close, but not for the food market. As the night gets deeper, the market gets livelier. 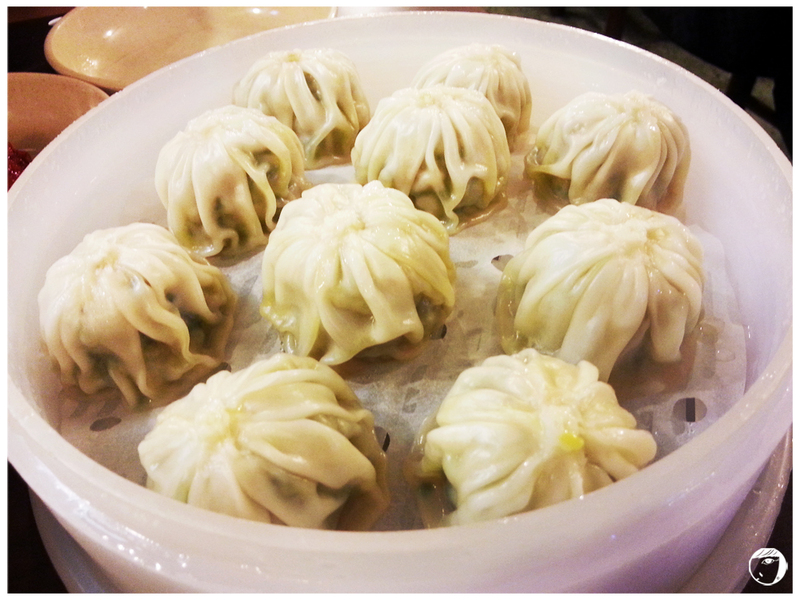 As I entered the market, I saw a big hall of food stalls selling different type of food. 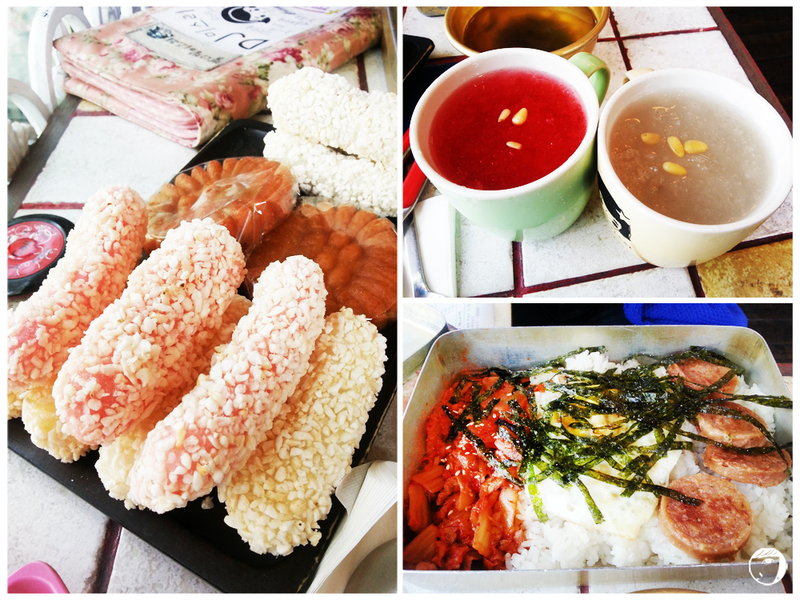 Bibimbap 비빔밥 (mixed rice), bindaetteok 빈대떡, tteokbokki 떡뻑이 (rice cake), soondae 순대 (pig blood sausage roll), japchae 잡채 (stir-fried glass noodle), mayak kimbap 마약김밥 (‘addictive’ rice rolls, smaller than the normal ones), and etc. I could not wait to taste all the food. 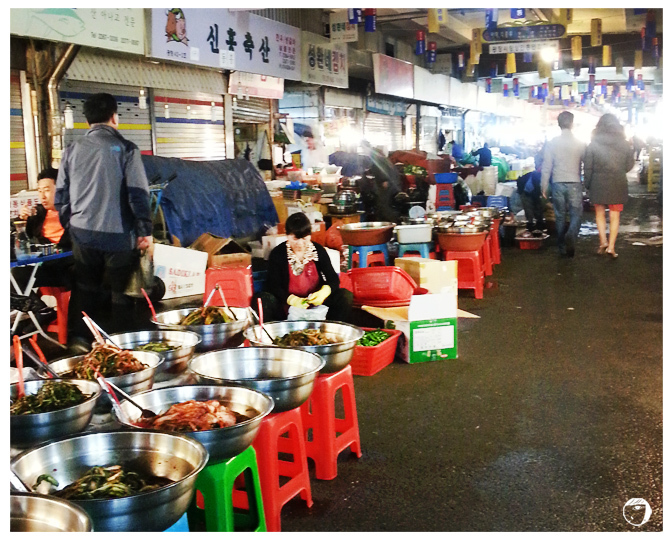 The traditional market is also famous for its bindaetteok 빈대떡. 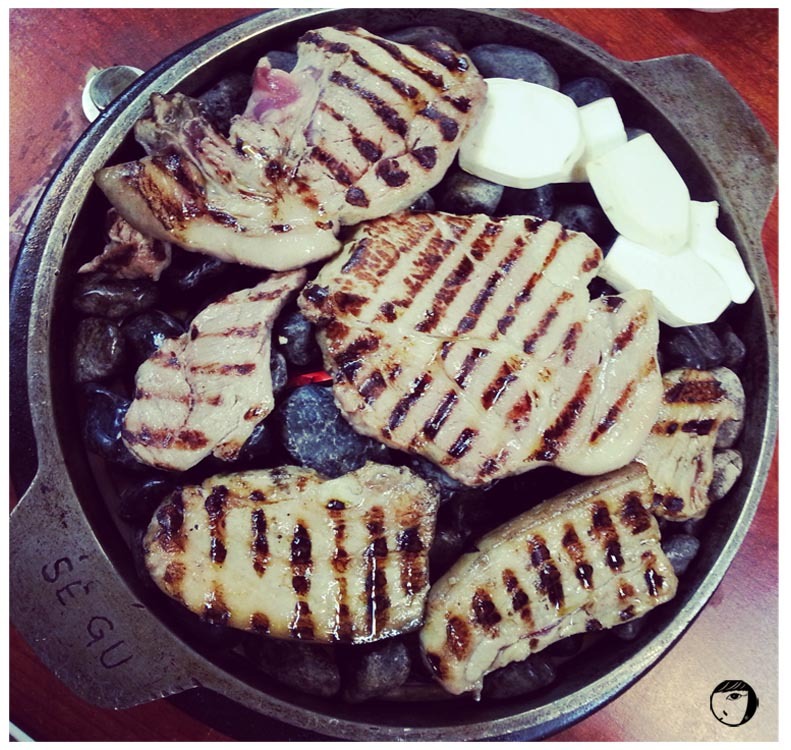 What is bindaetteok 빈대떡? 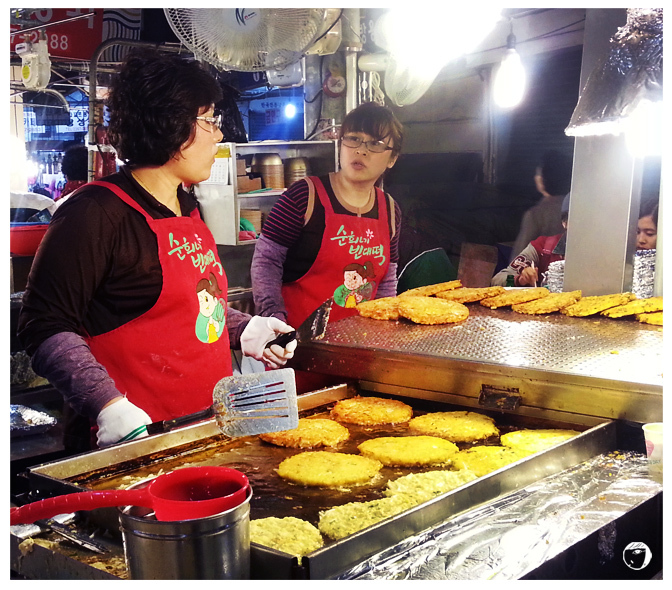 It is a pancake-like made from mung bean batter, mixed with meat and vegetables, and deep fried until it is crispy. Not only it is delicious, it doesn’t cost a lot. 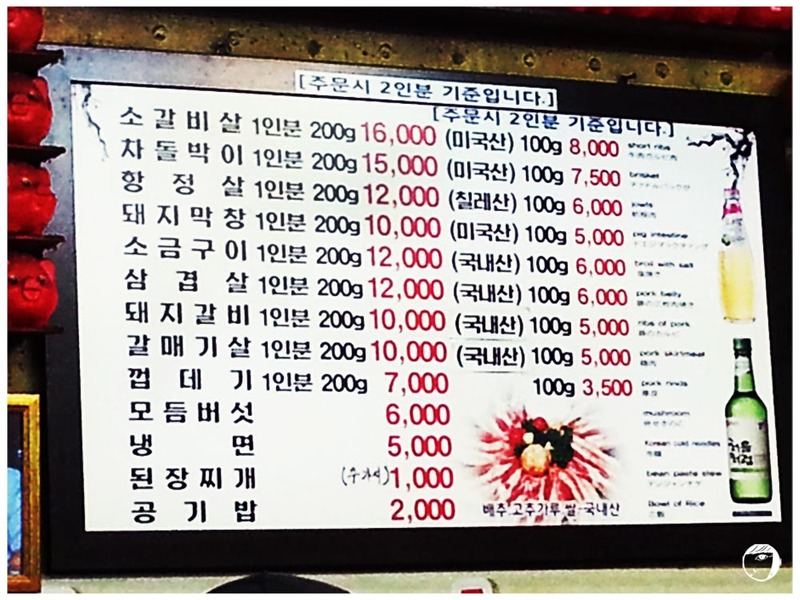 One piece of bindaetteok 빈대떡 is costs less that 4,000KRW! 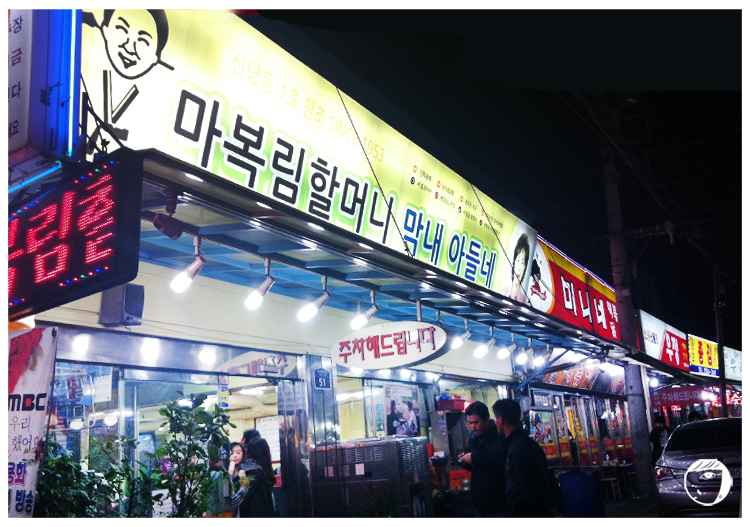 The biggest and most popular bindaetteok 빈대떡 stall is “Sunhwane Bindaetteok 순화네 빈대떡”. The snacks seems to be the speciality of the market itself. 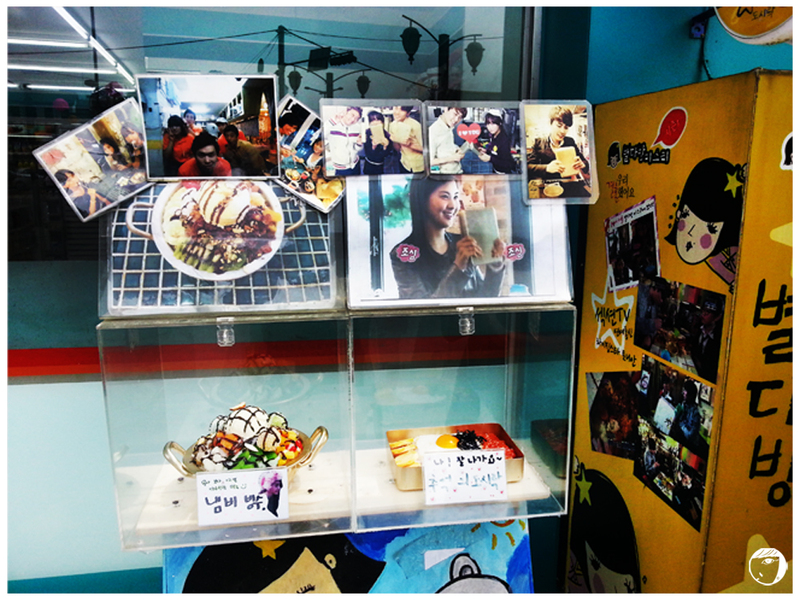 People coming here just to eat the bindaetteok 빈대떡. There are 2 food carts in the middle of the market. But the seats are limited. So the ahjumma told us to go to the shops around the corner which has more seats. You may have to queue for a while. As it is in the market, the shop is lack in cleanliness, but it’s not that bad. Since the shop is not huge, it is a bit stuffy. Perhaps because the tables and chairs are put close to another. 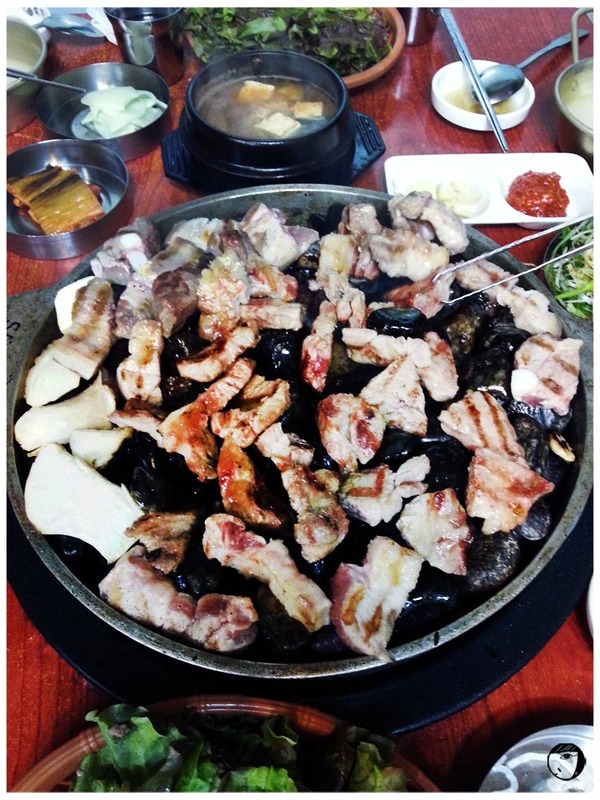 But, once the bindaetteok 빈대떡 was served, we forgot about the packed crowd. They are crunchy outside but soft inside. 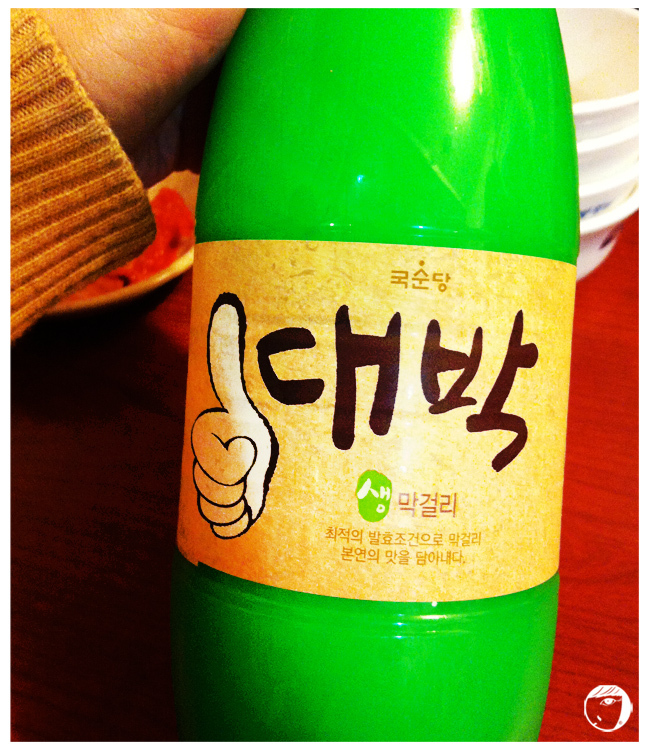 If you dip the bindaetteok 빈대떡 into the soy sauce, it is very delicious. 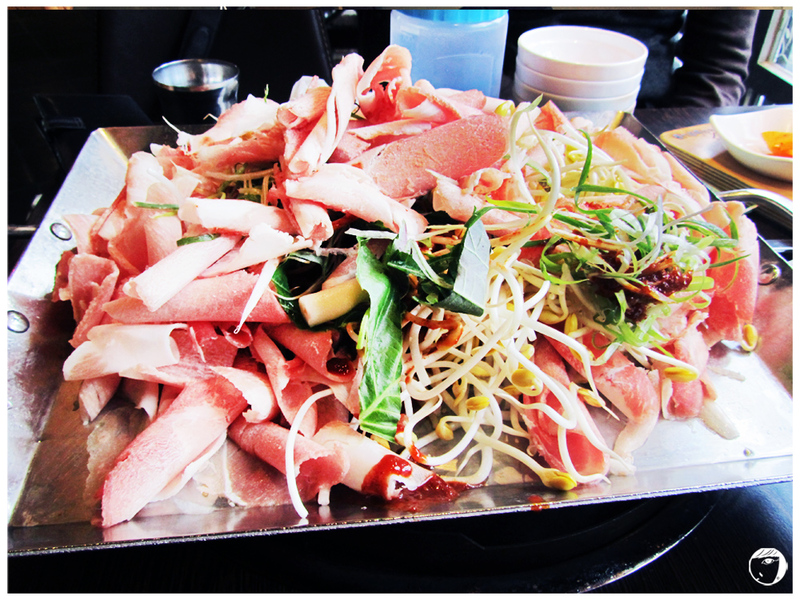 As we still wanted to try the rest of the food outside, we only ordered 1 piece for meat and veggie version each. The veggie version is in the size of a small pizza and the meat one is smaller. They will cut one piece into 4 for sharing. 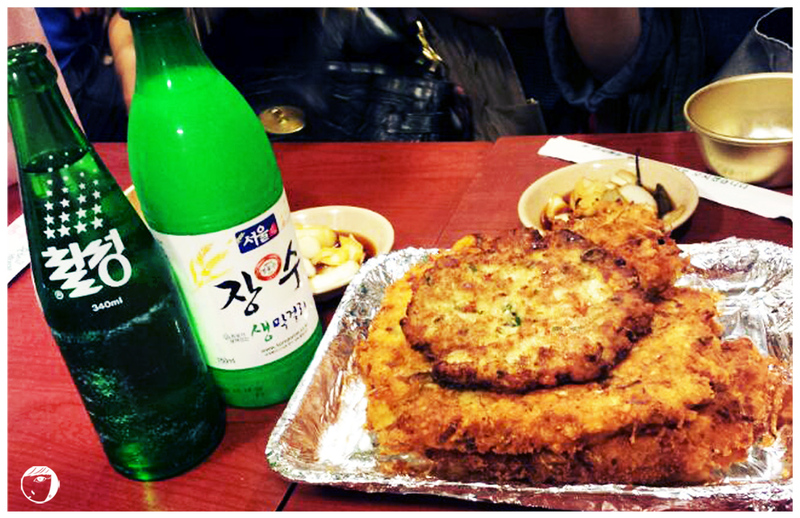 Similar to pajeon 파전, it’s best to enjoy together with makgeolli rice wine. We ordered the bottled makgeoli but it did taste as nice as the fresh makgeoli one. 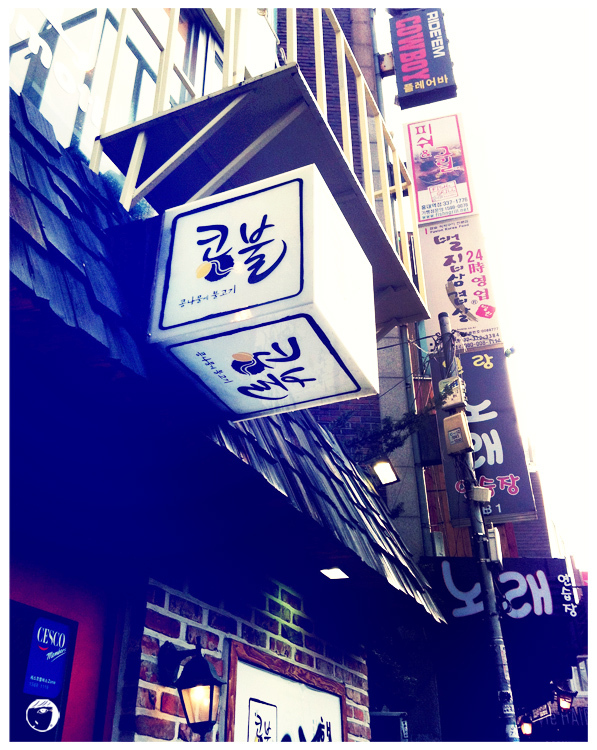 The best food here are manyak kimbab 마약김밥 and bindaetteok 빈대떡. It was good that there were a few of us, so we could share the portions together. I will definitely come back here again to have a real street food with a good taste and price. 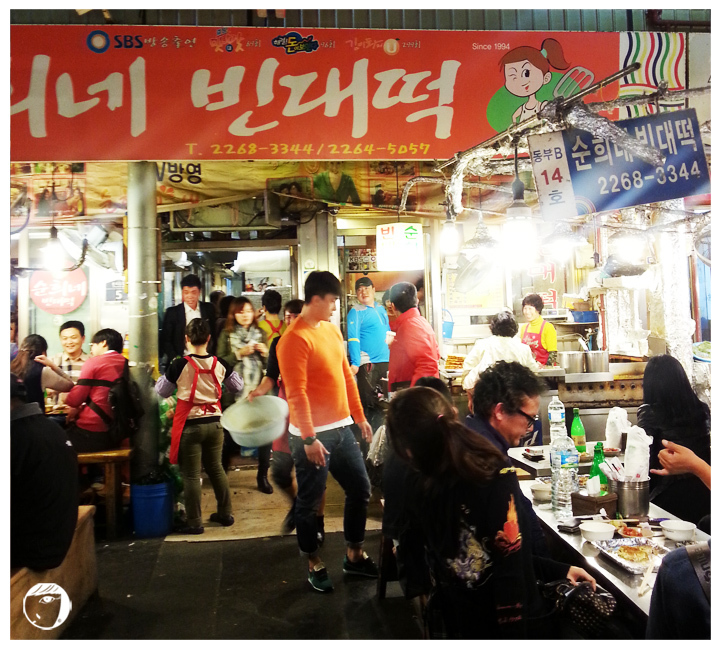 It is the place where you can taste all kind of Korea street food in the cheapest price! Take subway to Jongno(5)-ga Station (line 1, dark blue line) and take exit #9 or #10 (nearest to the food market). 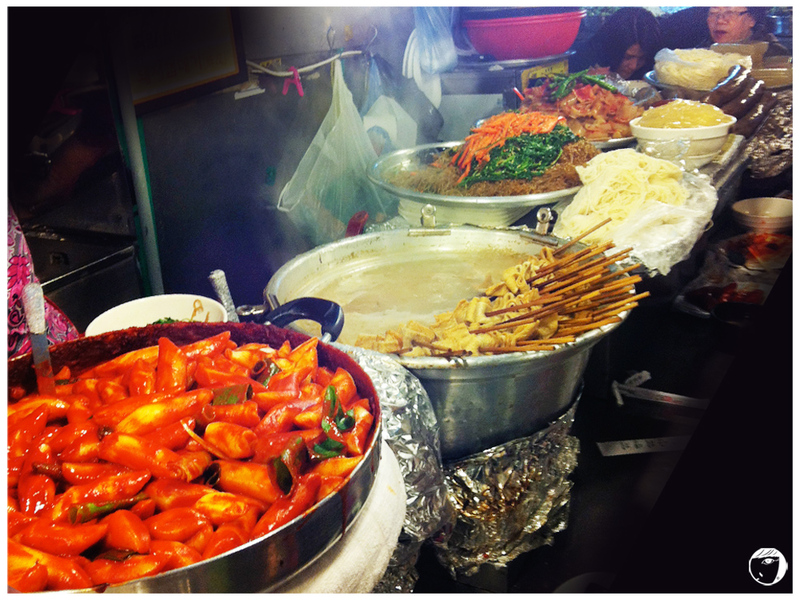 As a typical Korean street snacks, tteokbokki can be found everywhere. 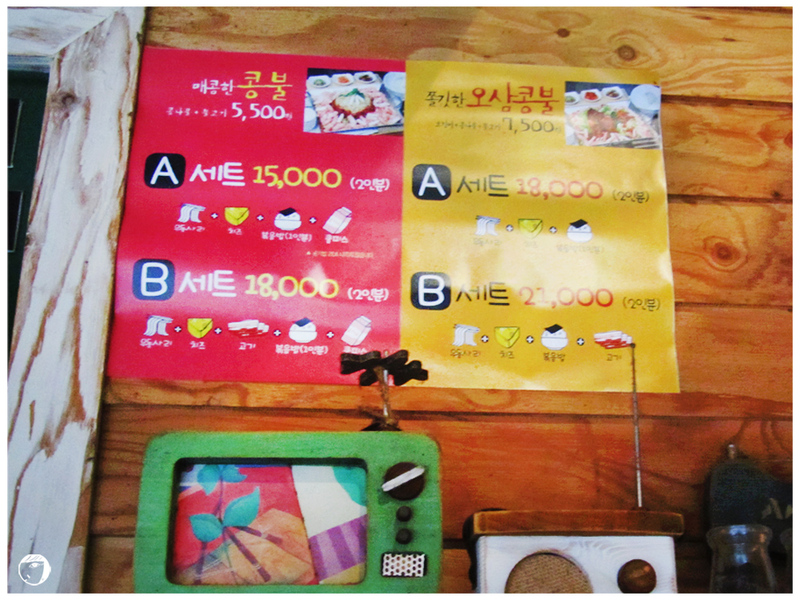 Food carts, small food stall, food court, and in many restaurants in Seoul. 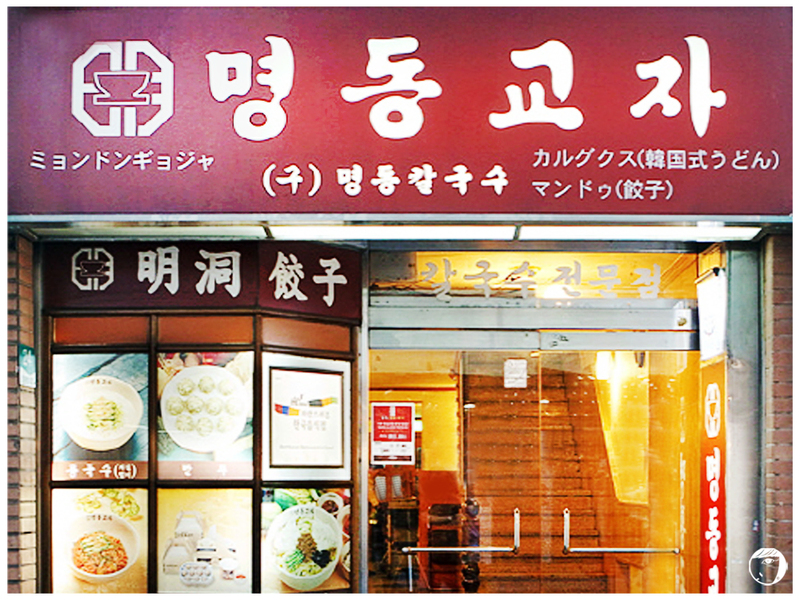 Sindang-dong is a home for 15 over tteokbokki (rice cake) restaurants. Unlike those street-food tteokbokki, they serve it fresh, including the fish cakes, boiled egg, ramyeon noodle, fritters, and dumplings. The best time to eat tteokbokki is at night. 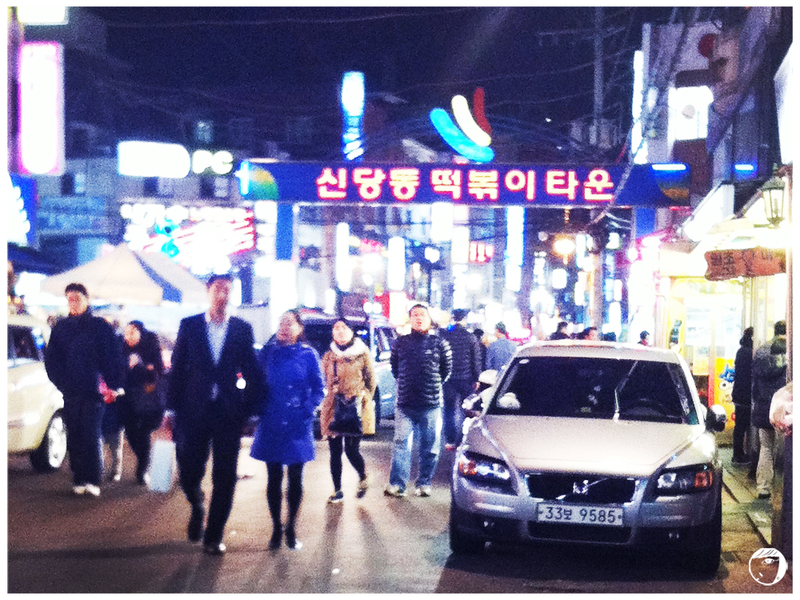 As the night gets deeper, the more people coming to Sindang-dong. Most of the restaurants are open 24 hours. 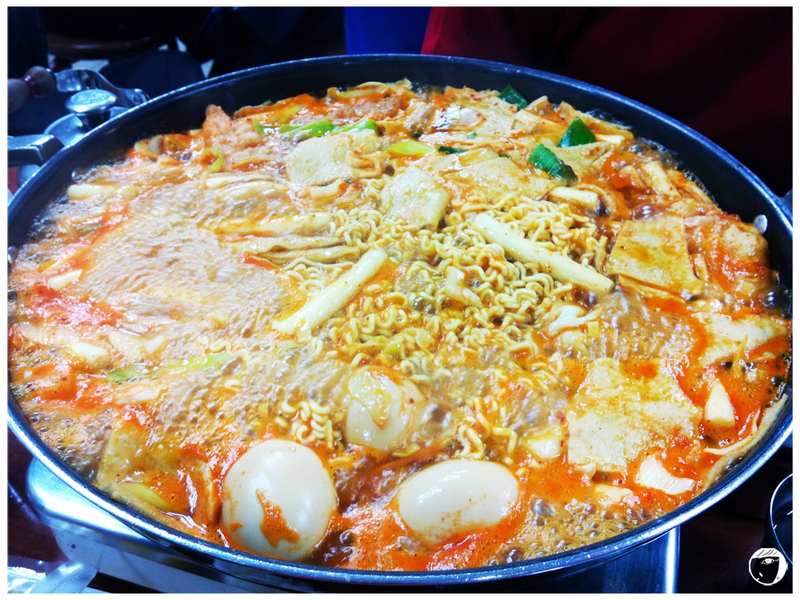 The most famous and original tteokbokki is created by a street food vendor, Ma Bok-rim. 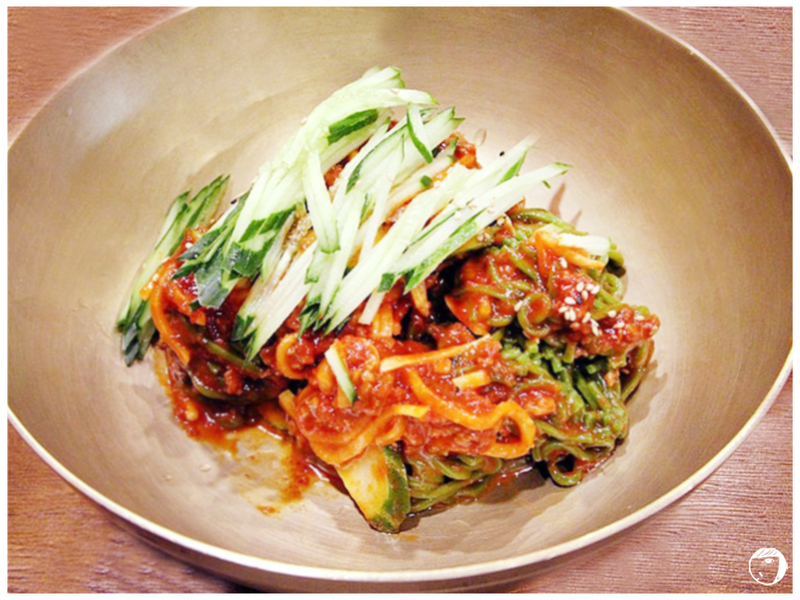 According to the history, the recipe was invented by accident when she accidentally dropped a rice cake into her father-in-law’s jajangmyeon or chinese noodles with black bean sauce. 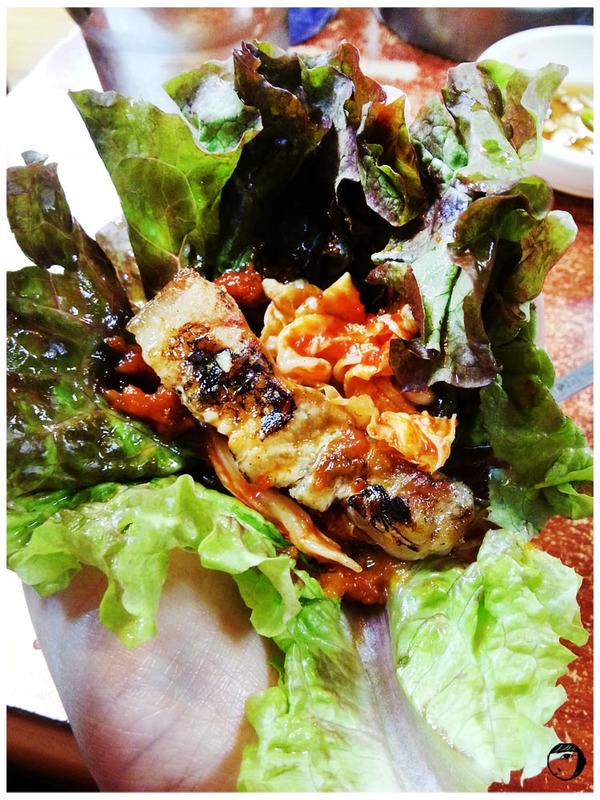 It tasted better than her expectation and then she started to experiment with spicy chilli paste or gojuchang 고추장. 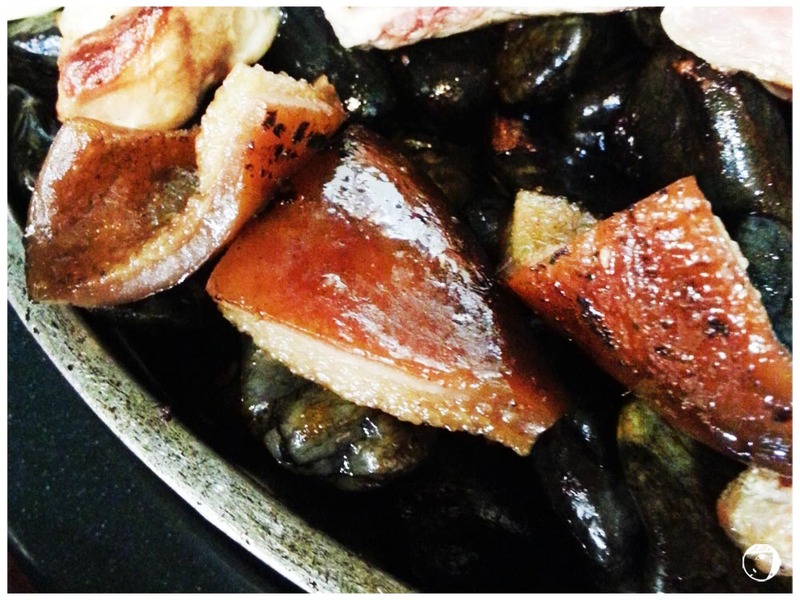 Since the original tteokbokki is created by Ma Bok-rim, this restaurant is where we are heading to. The legendary restaurant is opened since 1953. There a few people waiting in the queue before us. 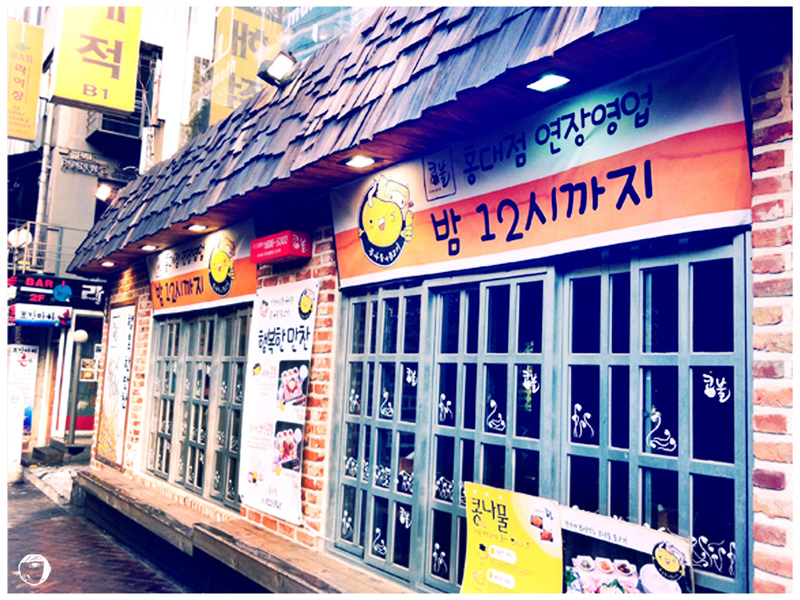 So I walk around and see the restaurant where CN Blue’s Yonghwa and SNSD Seohyun had their first date in the Korean variety show “We Got Married”. 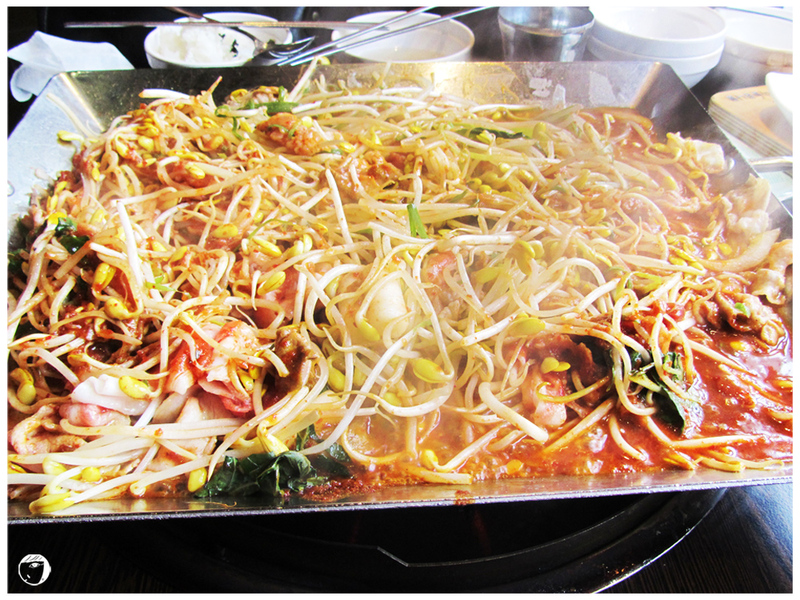 You can add extra toppings like cheese, ramyeon noodles, fried dumplings, etc if you like. When it is cooking, you have to keep stirring to prevent the rice cakes from sticking to the pan. After waiting, our tteokbokki is ready! The secret of this restaurant’s tteokbokki lies in the fact that red pepper paste is mixed with Chinese soybean paste for a sweet and spicy taste. This is very different from the street-tteokbokki, with unique and savoury taste, not too spicy. – Take subway to Sindang Station (line 2 or 6, green or light brown line) and take exit #7. Keep walking straight and after 5-10 minutes you will see Jungbu Fire Station. 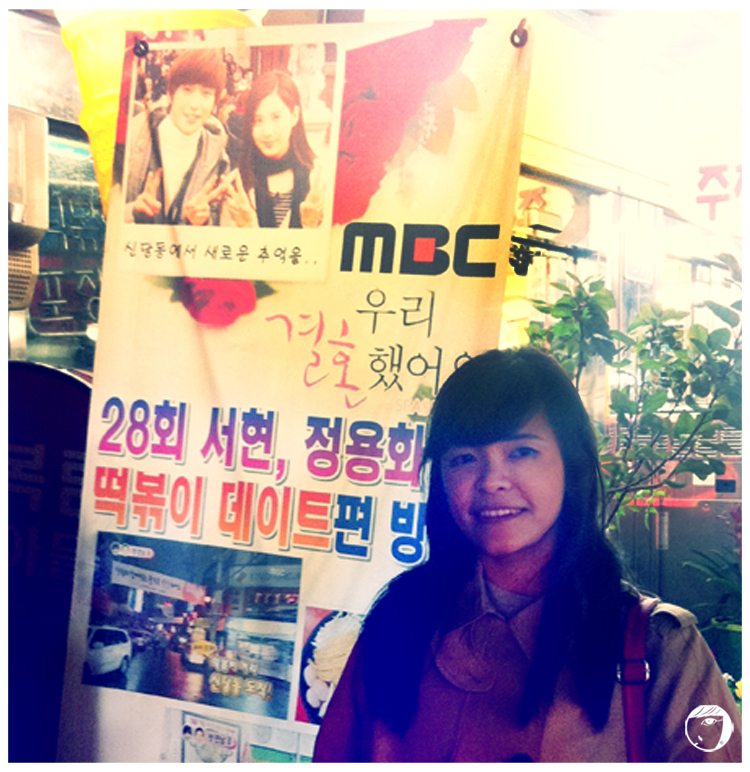 Walk pass the big signage of “Sindangdong Tteokbokki Town”. 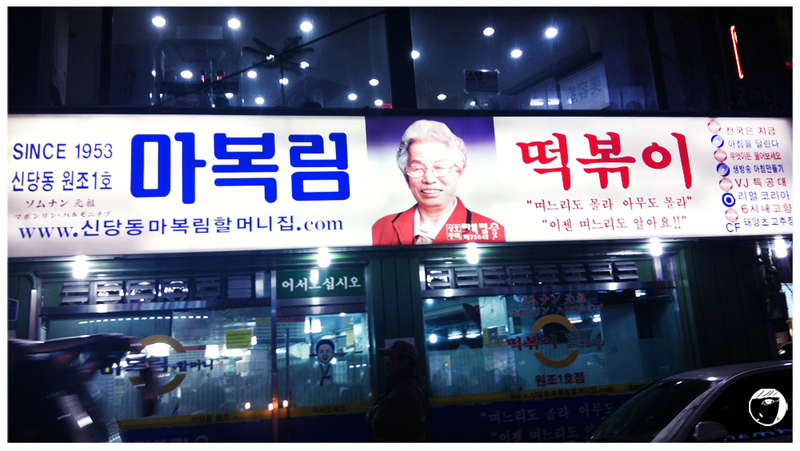 Look to your left and you will see the large restaurant sign with a picture of the elderly Ma-Bok-Rim. 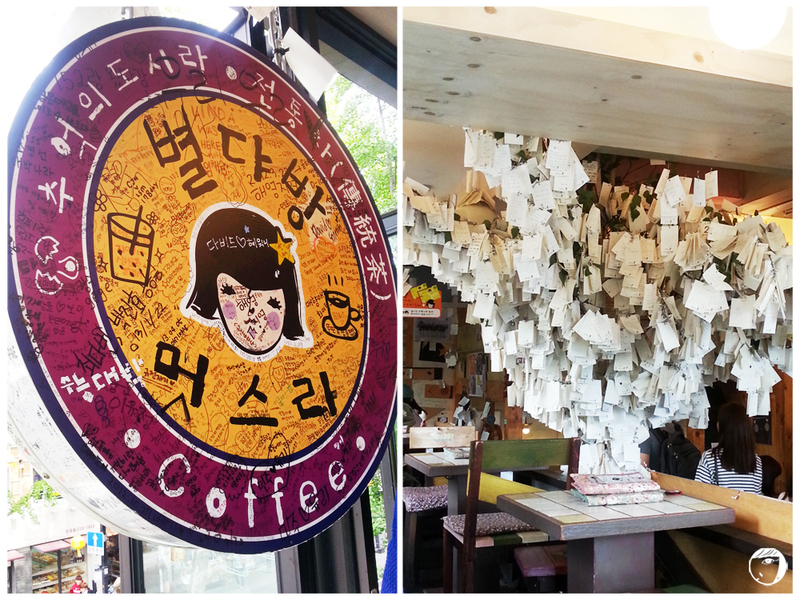 School Food is definitely my most favourite restaurant in Seoul. This Korean fusion brand has more than 80 outlets across the county. School Food has been my addiction starting from my first visit (click here to read about my first visit to School Food). 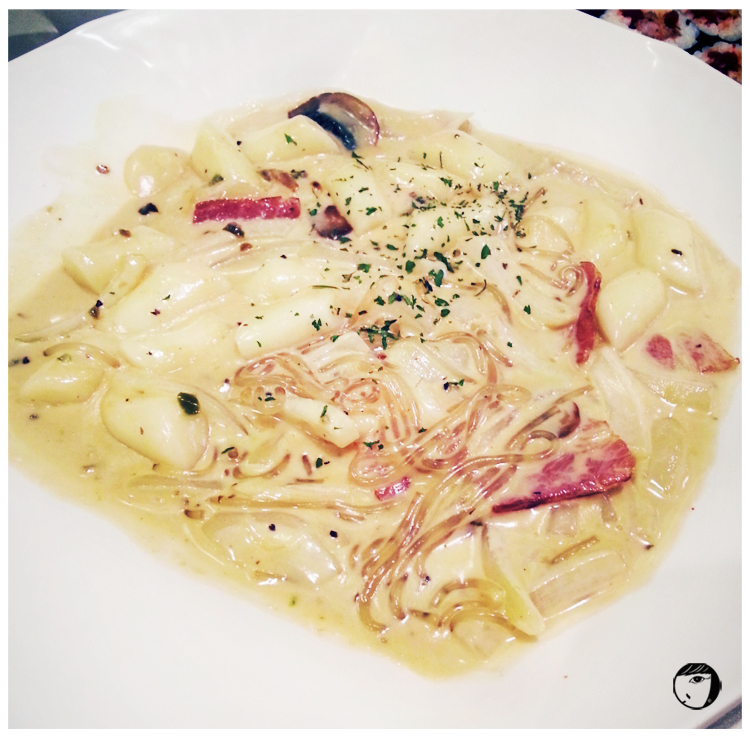 In my first review, we ordered their Carbonara tteokbokki 까르보나라 떡뻑이. On my second visit, I tried their soy-carbonara ddeokbbeoki 쏘이 까르보나라 떡뻑이 and turned out it is more flavourful, sweet, with rich creamy sauce. It may be more spicy than carbonara, since they mix gochu 고추 (chilli pepper) in it. This is a must-to-order if you love spicy and cream sauce. For me, the dish has been my regular menu every visit. 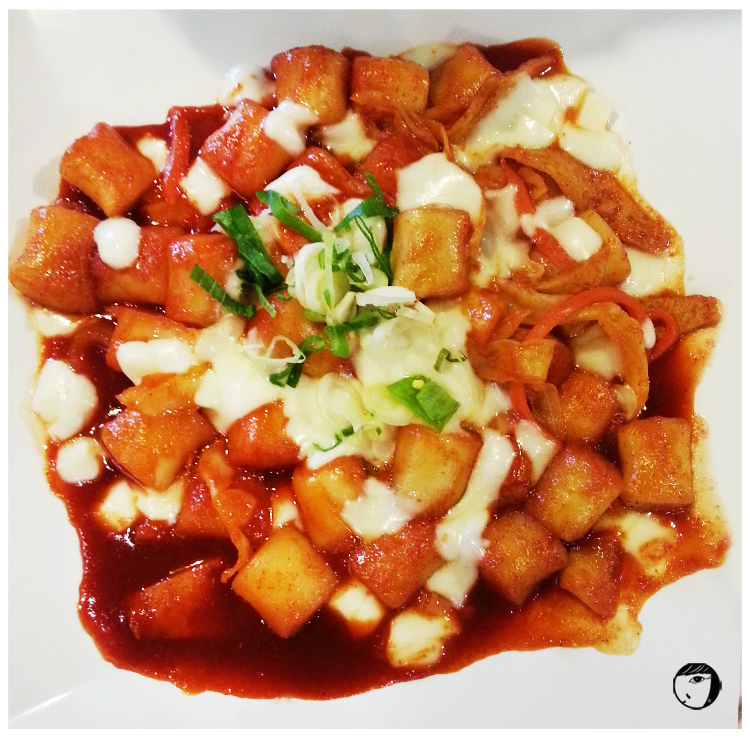 If you don’t like something creamy, you can opt for Cheese tteokbokki 치즈 떡뻑이. Similar to the original, School Food’s Cheese Tteokbokki is served in red chilli paste, but topped with mozzarella cheese. Spicy? 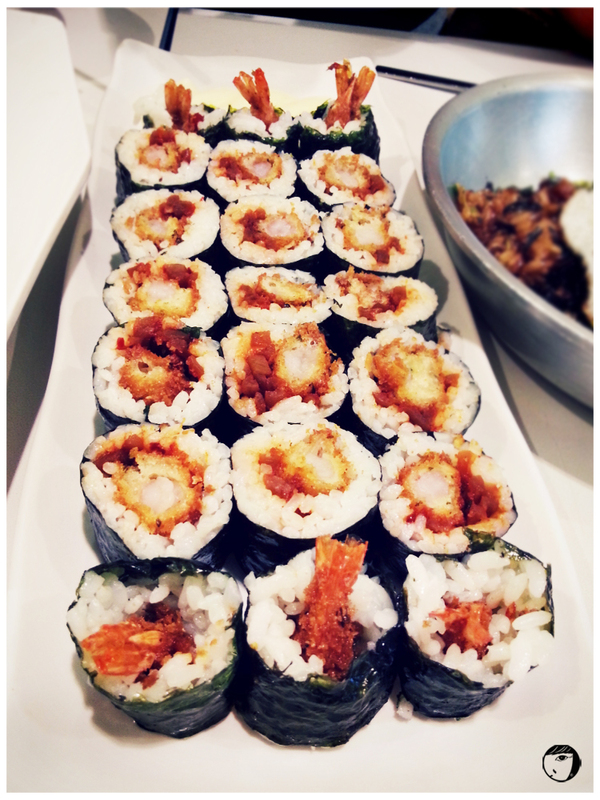 Yes it is..
School Food‘s other specialities are their kimbab rolls. But the kimbab is not those you usually find on the food cart, it is a mini version of kimbab, more similar to sushi maki. 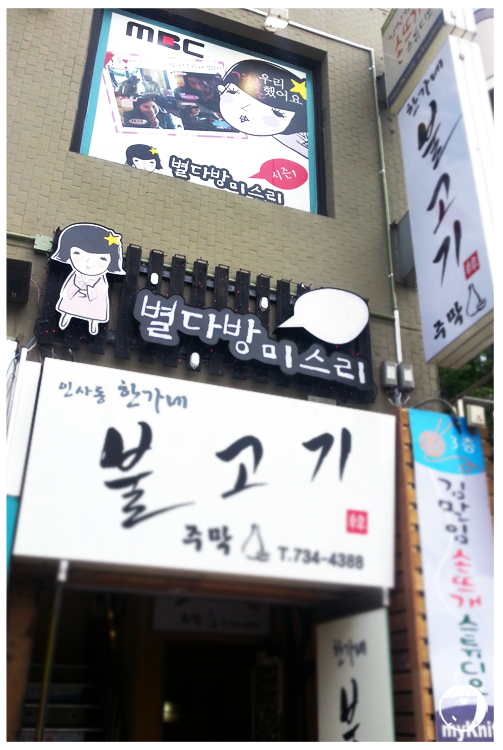 Coming here a number of times, I have tried most of their makis : Bulgogi Mari 불고기(데리야끼)마리, Spam Mari 1 스팸마리1, Spam Mari 2 스팸마리2, Special Mari 1 스페셜마리1, Special Mari 3 스페셜마리3, and also Prawn Mari 통새우마리. How about their fried rice? I don’t find their fried rice is fantastic. 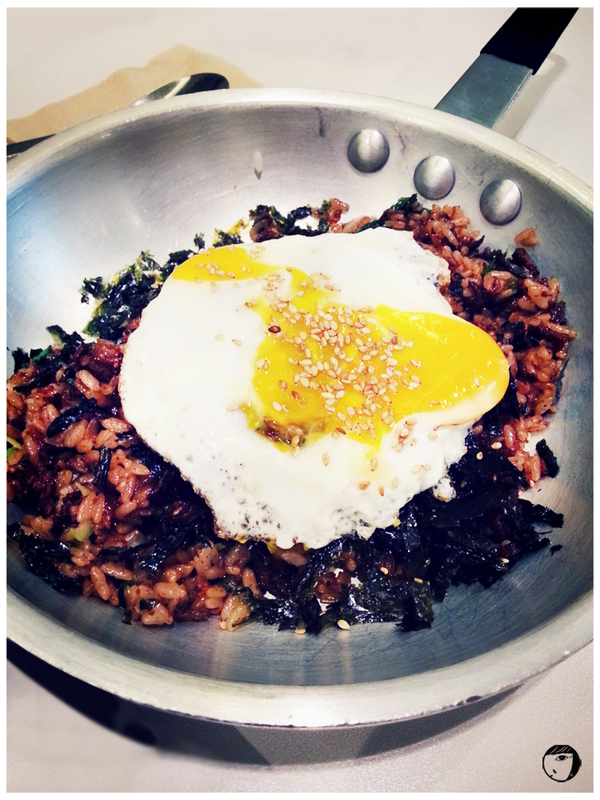 The bulgogi fried rice is too oily and dry. Perhaps because the put too much seaweed or soy sauce, it looks like a burnt rice. 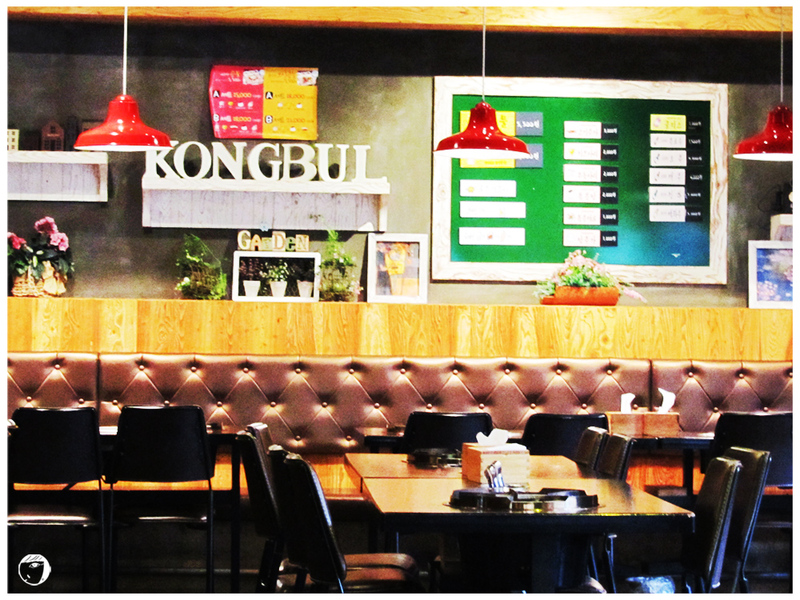 School Food is now not only open in US, but they have 2 outlets too in Jakarta, indonesia (Central Park and Lotte Kuningan Avenue). 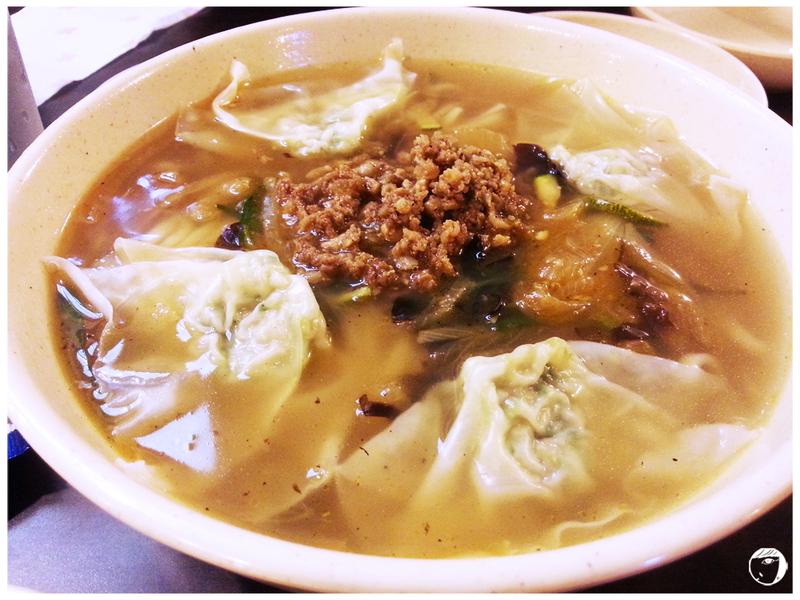 Although the taste is not as nice as Seoul’s ones but good enough to cure my school-food-sickness.